The SOSecure Containment Swim Brief by Discovery Trekking Outfitters is a highly effective and discreet swimming undergarment for adults and teens who refuse to let their incontinence spoil their life. This innovatively designed unisex undergarment provides superior protection when you need it most. It's ultra discreet so you don’t need to worry about drawing attention to yourself. Incontinence is a very common condition but it does not have to stop you swimming and relaxing in the pool or hot tub. You should be enjoying your life to the fullest and you can do exactly that with the The SOSecure Containment Swim Brief! Discovery Trekking Outfitters have developed these swim briefs to enhance the lives of those who require special products but don’t want the whole world to know about their little problems. The SOSecure Containment Swim Brief (also referred to as a swim diaper or swim nappy) will keep you protected, comfortable and most importantly confident while you are enjoying yourself. Life is too short to be worrying about incontinence. Available in an attractive and modern design which won’t draw attention for the wrong reasons, the SOSecure Containment Swim Brief are recommended by Physiotherapists, Occupational Therapists, and caregivers alike all over the world. The SOSecure Containment Swim diaper is designed to be worn under a regular swimsuit. It has a unique, adjustable front closure that allows for a snug, secure fit. The fabric features a waterproof outer layer bonded to a soft, comfortable fleece. It is stretchy and comfortable to wear keeping you feeling reassured. The garment is designed to be worn next-to-skin and it is machine washable and very durable. 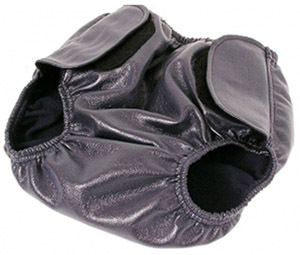 Although intended primarily for swimming, it can also be used as a diaper cover for day or night use. For ease of dressing, we recommend closing one leg before slipping it over the first leg then adjust the Velcro for the second leg. Lastly, re-adjust the first closure to get the best fit. Don’t put it off any longer, and don’t let incontinence affect any other part of your life. It’s time to start winning! To measure, begin about 1 inch below the belly button, measure down through legs, and up to the position on the back that matches the starting position on the front. Then, based on the larger of waist/hip measurement, choose the style that comes closest to your own rise measurement.